The City of Kenai is working with the borough to smooth out collection of sales tax from online retailer Amazon. Municipalities are still trying to figure out the best way to handle new sales tax collection from online retailers. Amazon, most notably, filed with the borough this month to begin collecting and paying sales tax. But that has left a lot of questions, since the zip codes between borough and city residents can overlap. In Kenai, the sales tax is three percent, same as the borough’s. Council member Tim Navarre said during a recent council discussion he doesn’t want anyone taxed unfairly. City Attorney Scott Bloom says the administration is working to find a way to more easily separate residences inside and outside of city limits. He says customers who do think they’ve been taxed improperly can go to both the borough and Amazon, which the city has had to do. 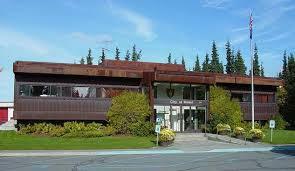 The Alaska Municipal League is also working on the problem of correctly applying sales tax for online retailers. A working group has been established and a rough idea of what the collection system could look like should be finished later this spring.